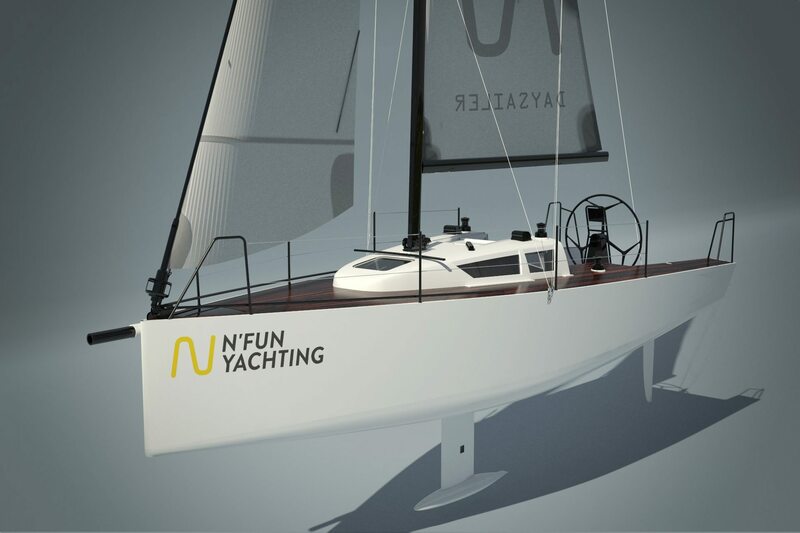 The N’fun 30 Yachtis built using advanced technologies like vacuum infusion, carbon rigging and membrane sails. 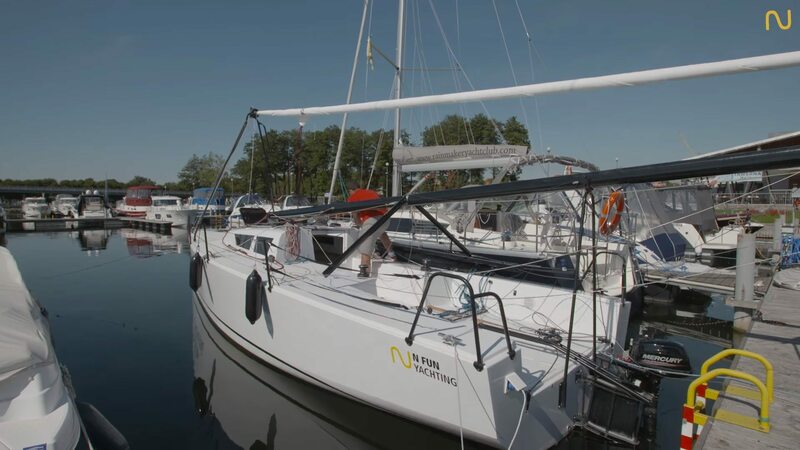 This sailing boat is the result of many years of success in regattas by Marek Stanczyk – repeatedly National Champion of Poland and the Winner of World Cup regattas in match racing. Hydraulic lifting keel with a 500kg bulb guarantees the safety and stability of the yacht. Thanks to the lifting keel and lowering mast capabilities it is possible to easily load and carry the yacht on a car trailer. Laminates are built using vacuum infusion, which makes it light, stiff and without airbubbles. Thanks to special frame only one person is needed to lower or hoist the mast and prepare a boat to transport or sailing. This provides the opportunity to carry a 100m2 gennaker. It is also possible to use a standard symmetric spinnaker. Our sails are designed with professional 3D software (Sailpack). A full range of sail material is available includingDacron, Laminate and Membrane. Sails are designed using each individual client’s requirements and expectations. Standard 2 track operated non-overlapping jib or self-tacking jib. Both solutions do not exclude each other. Client’s decision. Aluminum or Carbon rig. Full choice of steering systems. A Tiller or Steering Wheel can be connected to single or twin stern rudders. Shaft rudders are also possible. We especially like the twin rudder solution – while the boat is heeled one rudder is always 100% deep intothe water. Genoa, self-tacker, furling or not. wheel, tiller, twin rudder, shaft rudder. Standard Laminate, TekDek, Natural Teak. Simple regatta, wood finish, carbon finish. Hand Laminate or Vacuum Infusion. And a whole lot more. For Example: Below you can see three different boats, all N’fun 30.Day Sailer, Club Racer / Regatta Yacht and performance Cruiser. The N’fun 30 Yacht is trailer-able providing easy transport thanks to its’ hydraulic lifting keel and self-operated lowering mast system.